Audi has made the second big luxury small car reveal at the 2012 Geneva Motor Show with its all-new A3. 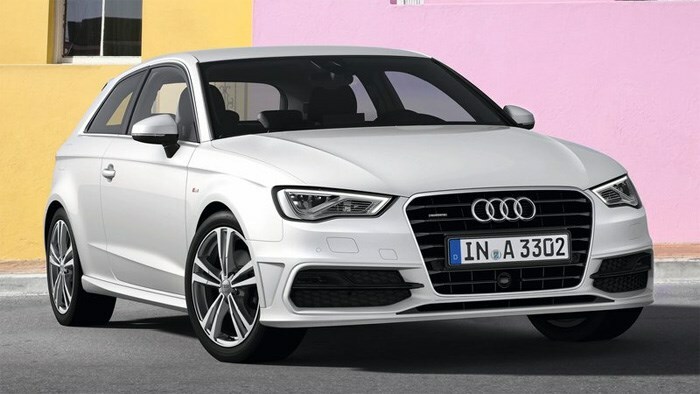 As a direct competitor the BMW 1-Series and new Mercedes A-Class, Audi has given the new A3 an 80kg reduction in curb weight and three new turbocharged engine choices including one diesel and two petrols. The 2.0 litre diesel will produce 105kW/320Nm with a 0-100km/h time of 8.6 seconds while using 4.0 l/100km. The 132kW/250Nm 1.8 litre petrol engine reaches 100km/h in 7.2 seconds and uses 5.6 l/100km. The new A3 will go on sale here in early 2013.